If you’re looking for trade show displays in San Francisco, let the rental experts at ExpoMarketing transform your exhibit into an unforgettable experience that shakes things up on the trade show floor. With 25 years of experience in renting and designing trade show booth rentals for the San Francisco community, we can help make your trade show display in San Francisco a huge success. With one of the largest rental inventories in the country, we can design any trade show booth to your space requirements, budget, and goals. The San Francisco trade show scene can best be described as an international meeting place for leading professionals and companies representing a variety of specialized industries. Serving as a major hub for Silicon Valley, the Moscone Center is the headquarters for some of the most important expositions and conferences in North America. The conference center brings together tens of thousands of top professionals, manufacturers, and service providers that are focused on an array of fields, including medical device, technology, game development, energy, and photonics, among others. The largest convention and exhibition complex in San Francisco, the Moscone Center attracts thousands of exhibitors and attendees every year for networking and marketing opportunities with leading professionals in their field. The center also offers exhibitors a Digital Ready Room where they can tweak and fine-tune their presentations before the big exhibition or presentation day. Several major trade shows in San Francisco focus on several exciting niche industries that are represented every year. Photonics West - Attracting over 20,000 professionals and industry leaders, the Photonics West event is dedicated to promoting the latest devices and trends in the medical technology industry. Gaming Developers Conference - Networking with leaders in the field, industry professionals have the opportunity to discover the top trends and insights in the gaming industry. RSA Conference - Serving as the world’s largest data security exposition, the RSA Conference is one of the top events for networking with leading companies in the informational security industry. Intersolar - The most attended solar exhibition in the United States. Bio International Convention - Representing the global event for biotechnology, join thousands of industry leaders and professionals for education, promotional, and networking opportunities. 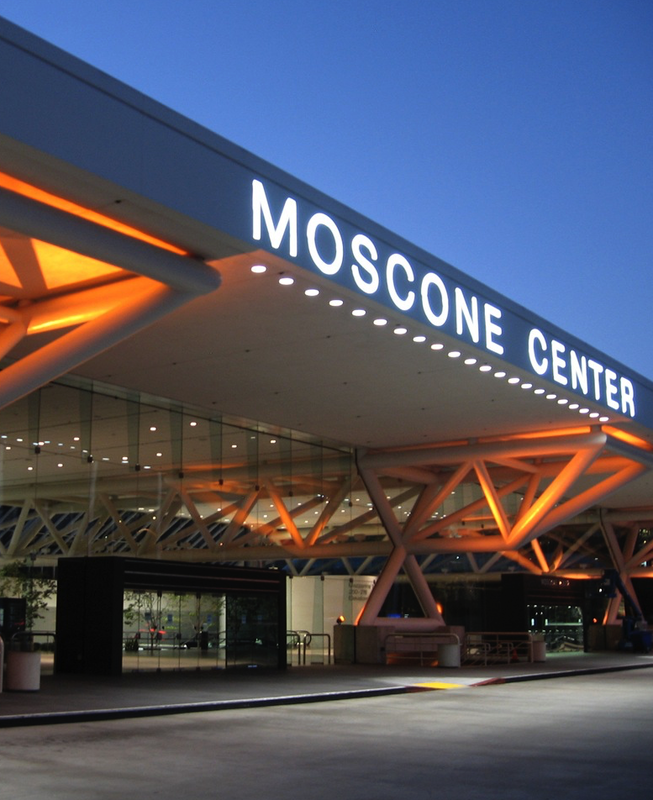 Find out more about the expositions and conferences at the Moscone Center website, the authority on planning, scheduling, and hosting the biggest trade shows of the year. You can also find out about other trade shows in the San Francisco area by visiting our Trade Show Calendar, a comprehensive guide to the top shows in the country. For decades, ExpoMarketing has been providing world-class San Francisco trade show displays for a wide variety of companies and industries, big and small. When you start planning your next exposition or conference, let us craft your San Francisco trade show display so that you can concentrate on making those crucial business connections at the many exciting networking events you’ll be attending throughout the year. Our design experts are trusted by some of the biggest names across a range of industries, including Chicken Soup for the Soul. 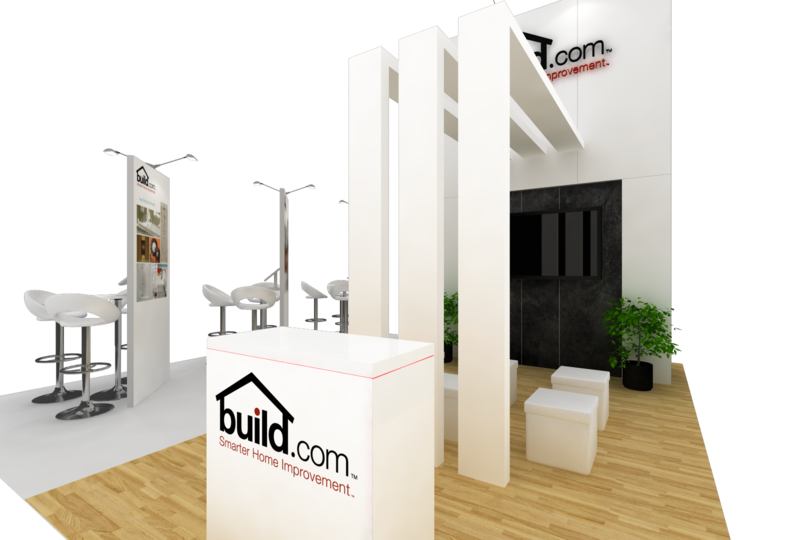 With our award-winning designs and wealth of knowledge in trade show booth design and assembly, we’ll transform your brand vision into a trade show exhibit that embodies the unique message of your company or service. Contact ExpoMarketing today and start the process of creating premier trade show displays in San Francisco.